I just checked back from my screenshot on the mystery figure and the parts count has increased by 1 from 18 to 19 does anyone from previous experience know what that could entail? TJOmega wrote: I didn't even notice there was a variant on Sarvostar until after I finished checking out. Really don't want to eat another shipping cost on the chance of getting the same one, so I must count on eBay to continue my Sarvos army. Tried to take it easy on this drop in general but still went over $100, too much green and pretty metallics. Last time I ordered two of the mystery Matt gave me one of each, kinda think he’ll do the same this round. Uldrec_Doon137 wrote: I just checked back from my screenshot on the mystery figure and the parts count has increased by 1 from 18 to 19 does anyone from previous experience know what that could entail? Standard Pheyden figure w/extra set (3 heads + torso & waist + scarf). Good catch btw! Alrighty cool i now know for future reference thanks! Matt Doughty wrote: As some of you may have experienced last night, the store was having a few issues, causing some back end hiccups. 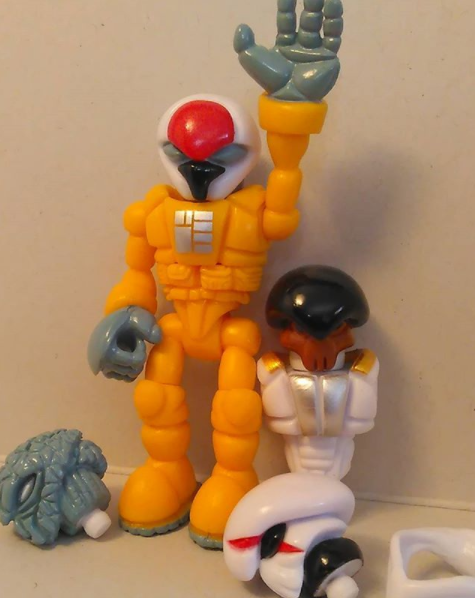 This had us scrambling a bit and in the minor mayhem during the pre-launch the description for the SARVOSTAR MYSTERY FIGURE was incorrectly entered into the store. We didn't catch it until a couple hours into the sale and made the correction as soon as it was spotted. I (Matt) take full responsibility for the misstep. There is NO VARIATION on this Sarvostar Mystery Figure production run. Our sincere apologies for the fumble. Please send any refund requests or inquires to our contact email and we'll get you sorted out ASAP. Small relief for me, but I wonder how many ordered two because of this glitch? It's awesome of them to offer refund requests, though. And having a Sarvos and a Phanost to display simultaneously isn't bad, either! A really great wave all-around! I ended up buying the golden Glyknight and a lot of his matching accessories - plus the white Villser and some matching axis joints for good measure. Also, white axis joints!!! This is a fantastic opportunity for builders like myself. Here's to hoping we'll get some more Buildstation items in the future! Dropped like $300 this round. Had to get my son some things for his b-day and Xmas! Also, I have no self control. I’ve been waiting for more white axis joints for a long time!!! Carpy84 wrote: Dropped like $300 this round. Had to get my son some things for his b-day and Xmas! Also, I have no self control. I’ve been waiting for more white axis joints for a long time!!! Christ, I wish I had such a budget for Glyos. I really wish Matt made some of the drop images into posters. The old school looking glyknight poster would look amazing on my wall. I'm using the wideshot battle one as my computer screensaver. Yeah man, I splurged this round pretty hard. If I was ordering for just myself I’d have gotten just what I needed. 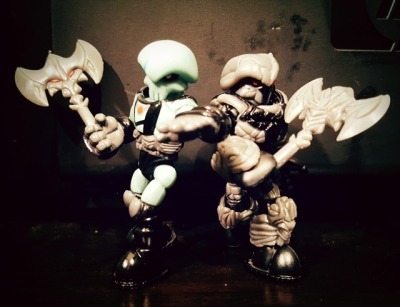 After getting my son interested in Glyos, I can’t not get him something without feeling bad—especially with his birthday and Xmas coming up! These aren’t something every kid has and it’s a toy we both bond over. Carpy84 wrote: Yeah man, I splurged this round pretty hard. If I was ordering for just myself I’d have gotten just what I needed. After getting my son interested in Glyos, I can’t not get him something without feeling bad—especially with his birthday and Xmas coming up! This is awesome! Great Dad! Thanks! Hell yeah!! I got my shipping notice too! Does anybody know how close thuryium gold is to gold we have got previously? I'd like to know to determine if I should buy a bunch of gold building parts. Artic_ wrote: Does anybody know how close thuryium gold is to gold we have got previously? I'd like to know to determine if I should buy a bunch of gold building parts. I haven't seen anything that confirms it matches previously released gold items. Matt did state that the new metallic red is close to the previously released metallic blood red from the Gendrone Liberation drop so it's possible that this new gold is close to the previous ultra gold. One difference of note is that the few things previously released in ultra gold had brown detail lining. Doesn’t hurt to just buy the glyknight and gold sets to equip. If it doesn’t match, it won’t be a waste at all! No figures for me this round, just building parts(gotta get the scraps you left us ). 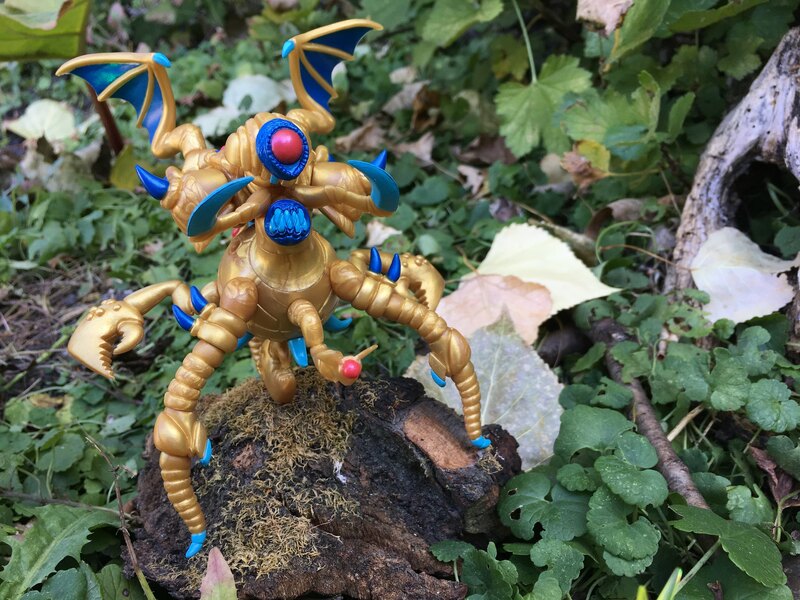 I ended up with a bunch gold/metallic yellow figures this past summer and want to make a giant gold monster thing. That is cool as hell. Dad of the year award material! Aww shucks... thanks guys. Should be getting package today!!! Matt wrote: Please swing by and see us (booth #1002) if you're able to attend the show. We love spending time with everybody at what's become the best convention for independent operators on the planet, and to keep things cooking we'll have a couple experimental mini production runs to share at the show. Matt wrote: Our last wave of 2017 is tentatively set for early December, and will feature some Gendrone action in an all new metallic hue (and another new hue will debut as well). Argen will face an unexpected adversary that's been creeping around in the shadows since the Henshin III Wave. So, folks heading to DCon are in for some surprise goodness, and it looks like the Gendrones might be coming back into the drop rotations! Sarvostar is here! Looking good, the Phanost head from the Extrra Set really makes him look a lot more cohesive IMO. The Scar head is an absolutely welcome addition- I'll be popping it onto Alphaden's body for sure. Also got the Villser Bioskull as a freebie!! I can't believe it, that was the only figure this drop I was considering double-dipping for, and I lucked out completely! Received my package today - Ordered about $50 worth of items. Why? Well because Onell Design packed it to the brim with extra freebies! So, I just wanted to say - This company is absolutely amazing! I seriously cannot be happier with the service and generosity of Onell Design! In fact, I actually ended up going back to the store and buying the rest of the Metallic Red items, plus some more Gold parts since now I can actually build two of the custom figures I was planning on making. By the way, the quality on the Glyknights is fantastic - this was my first one, and I was concerned that the cape would get all crumpled up in the packaging. Luckily, the fabric used is actually a really nice, silky material, and springs back into shape without any noticeable creases or folds. Really great work! So in conclusion, very happy, probably going to order again, going to do a lot of building this week - Glyos is my addiction... again! Warlords plastic is crazy cool looking in hand too. New post for those of us not at DCon. Looks like we've got more Portal Variation stuff!